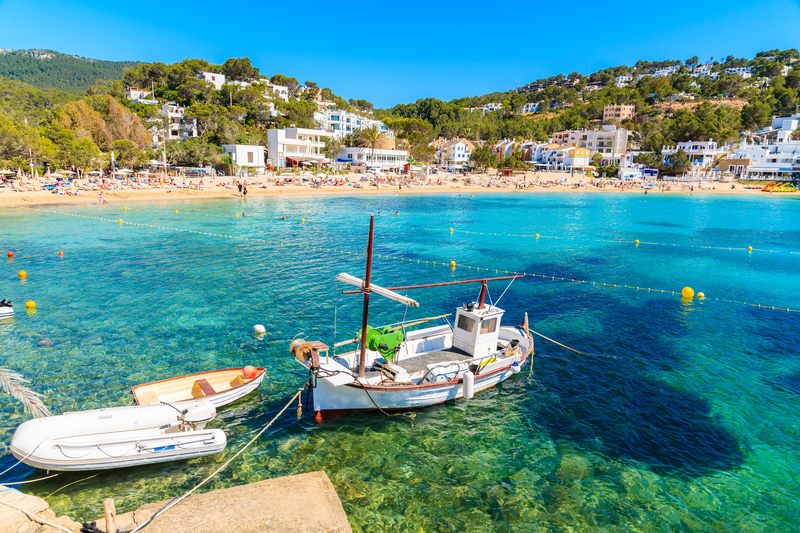 Cala Vadella is a very popular bay on the west coast of the Balearic island of Ibiza. Cala Vadella belongs to the town of Sant Joseph de sa Talaia. 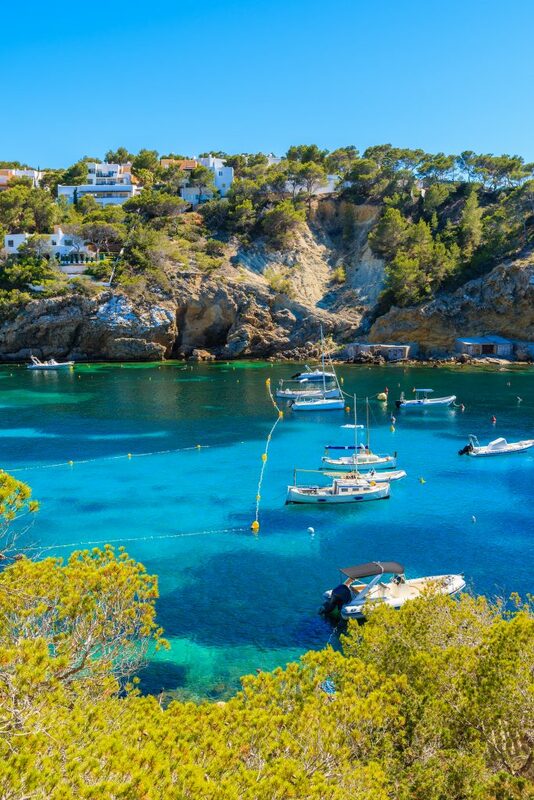 Cala Vadella is only 13.5 miles (22 km) from Sant Antoni de Portmany and 15.5 miles (25 km) from the town of Ibiza. 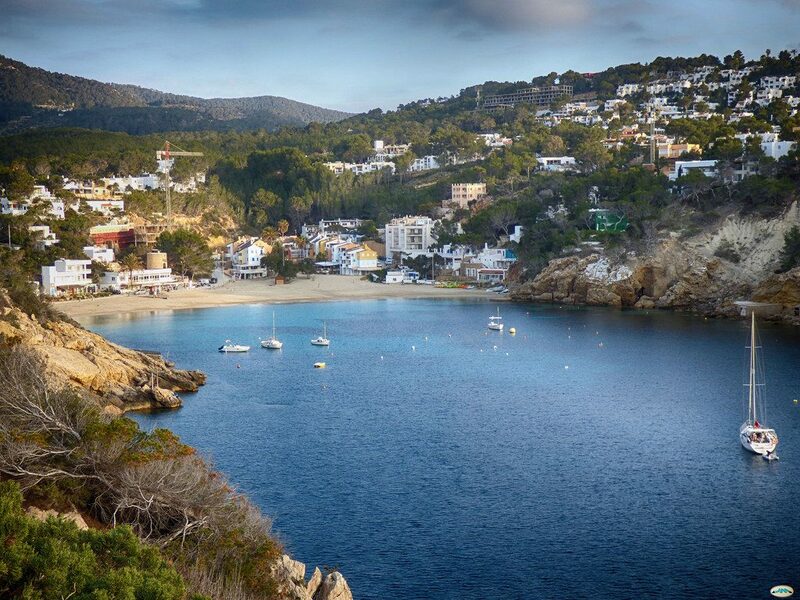 Cala Vadella Bay is well known for its breathtaking views and is surrounded by pine-covered hills. Because Cala Vadella faces west, you can enjoy magnificent sunsets there in the evening. Although this seaside resort is not very big, its magnificent location makes it very popular. During the day, it is often very busy: as well as tourists, locals from the town of Ibiza enjoy coming to relax on this beach. The northern tip of Cala Vadella’s sandy beach ends in Es Torraci point, behind which there is a small, hidden cove. Here you can still see fishing huts and pontoons, surrounded by rocky ponds. This hamlet is worth a visit. At the southern tip of the beach, you will find yet another little bay where there used to be an illegal bar. Meanwhile, the authorities have closed it, and the concrete slab which used to be a dance floor is now used for bathing. 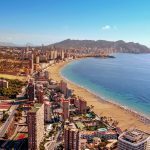 Cala Vadella’s big, wide beach is covered with fine grains of white sand and slopes gently into shallow water. 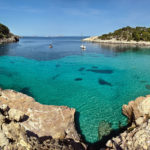 For this reason, Cala Vadella is an ideal place for families with children. They can play here safely in shallow, crystalline water. At the end of the bay, where there are some rocks, you can also go diving. Cala Vadella is one of the 12 beaches on the island of Ibiza to have been awarded a blue flag. On Cala Vadella beach you will find a wide range of facilities like sunbeds, parasols and pedal boats for rent, as well as public showers. Guards patrol the beach all day long, so that you can enjoy a pleasant holiday with no hassle on the beach. Those who enjoy water sports can do as much water skiing and diving as they wish. The beach can also be accessed by people with reduced mobility, an important asset in Cala Vadella. On the other hand, dogs are not allowed on the beach in Cala Vadella. Cala Vadella is a friendly little village with a bustling town centre, near the beach. Around the square, you can enjoy the gentle murmur of the fountains and the subtropical plants surrounded by a few restaurants, bars, shops and a pizzeria. In the village of Cala Vadella, Club Villamar offers whitewashed villas and apartments to rent where you can spend your holidays. For those day-trippers who are not staying in Cala Vadella, there is a car park for 250 cars, some spaces being reserved for people with reduced mobility. 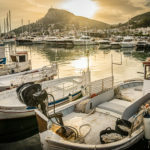 Cala Vadella also has a beautiful marina where many private yachts and motor boats come to moor to enjoy the sunset. Cala Vadella bay is easily accessed by car. However, you should be aware that in summer months it may be very busy, and you may have difficulty parking your car. 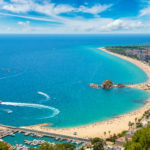 But in summer you can also take the bus, because there are regular links between the town of Ibiza, San José and Sant Antoni and Cala Vadella. Book your magnificent villa here!